FULTON – The Fulton Amateur Radio Club is gearing up for a busy 2019. The club regularly participates in public service activities where communications is required for safety and general information passing. Each year we provide communications for various events such as: Outrun Autism, Happy Valley Gravel Race, Harborfest Run and Tour de Loop, to name a few. These events help us to hone our radio skills to be our best in emergency situations. Amateur Radio Operators have assisted in emergencies ranging from floods to hurricanes, fires to chemical spills and clearly none of these can be handled adequately without training and preparation. The Fulton club also trains through our field day event held each year on the last weekend in June. Field day is a simulated emergency situation where amateur operators must take the radios out in the field where there is no commercial power and make them operate to make contact with other groups across the country. 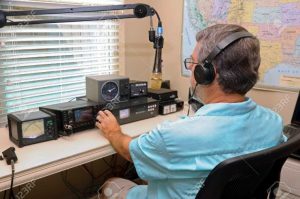 Radio Amateurs have a wealth of activities to choose from, whether it be participating in various communications locally or contacting fellow HAMs all over the United States and various countries overseas. A number of our members participate in the Oswego County Emergency Civil Emergency Service (RACES), which assist our county with communications in time of disaster. Club meetings are a time when we can get together with other hams and exchange ideas, friendly conversation, and have a sense of comradely. We come from all walks of life but share a common bond that is the love of Ham Radio. Join one of our meetings and see what a great club this really is. For anyone interested in joining this great hobby, we conduct licensing classes twice a year, spring and fall, with testing at the end of each class. We have a full staff of VE (Volunteer Examiners) ready to give your exam so you can obtain an FCC amateur radio license. The Fulton Club meets the fourth Wednesday of the month at the Oswego County Building in Fulton across from Mimi’s.